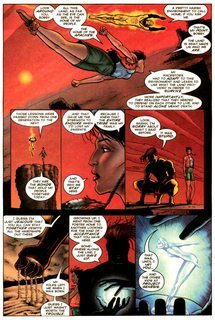 Gen 13 #0 – 77 + Extras (1994-2002) : The Gen 13 kids are on the run from the organization known as International Operations. It was I.O. through the Genesis Project that gave them all their powers and I.O. wants them back. But they aren’t alone as John Lynch, once Director of Operations for I.O., has gone rogue and dedicated himself to helping these kids stay out of I.O.’s clutches. Fairchild, Burnout, Grunge, Freefall, and Rainmaker must all do their best to lay low while still trying to live normal lives. But that is easier said than done.